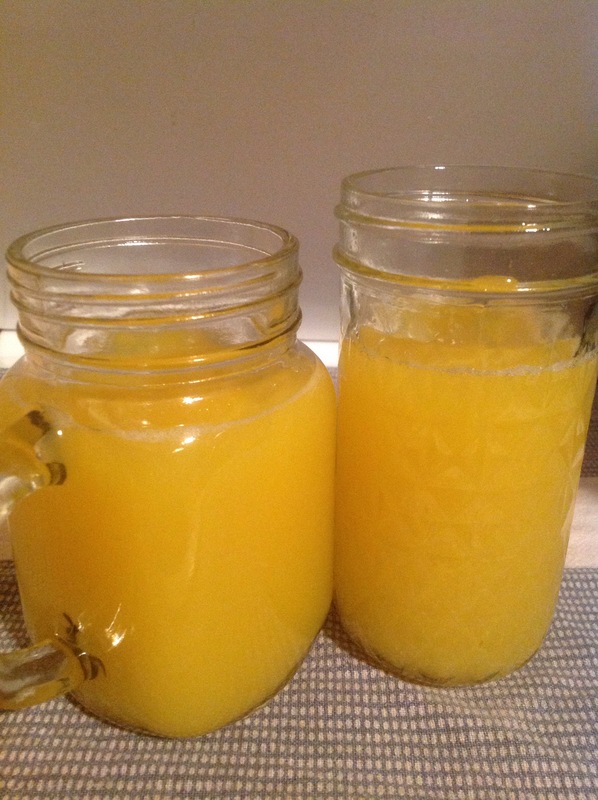 I made fresh orange juice with some lemon juice also squeezed in. 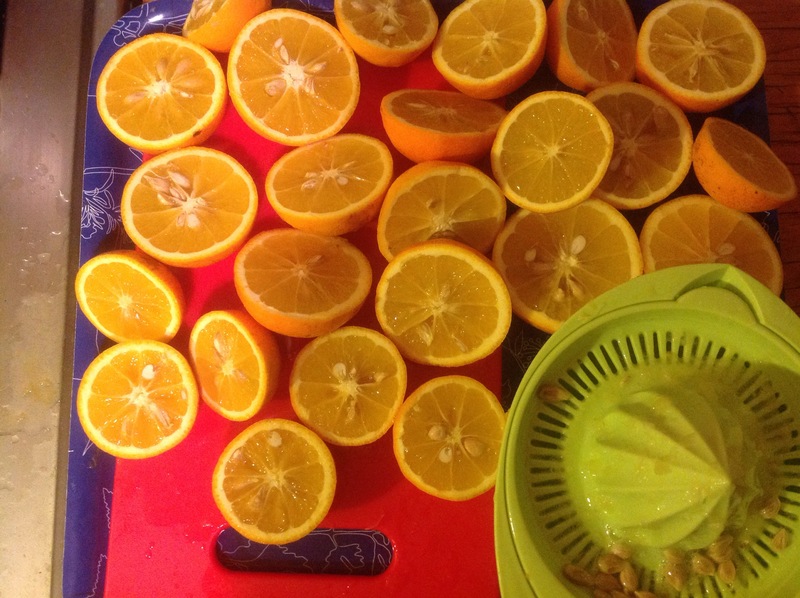 My hand hurts from juicing the billions of oranges – I made nearly a gallon. I believe that they are Valencia oranges and Meyer lemons. Hurray for SoCal family with citrus trees! Added some tequila and made a ‘horny bulls’. The lemon tartness really adds a great effect in the margarita direction.